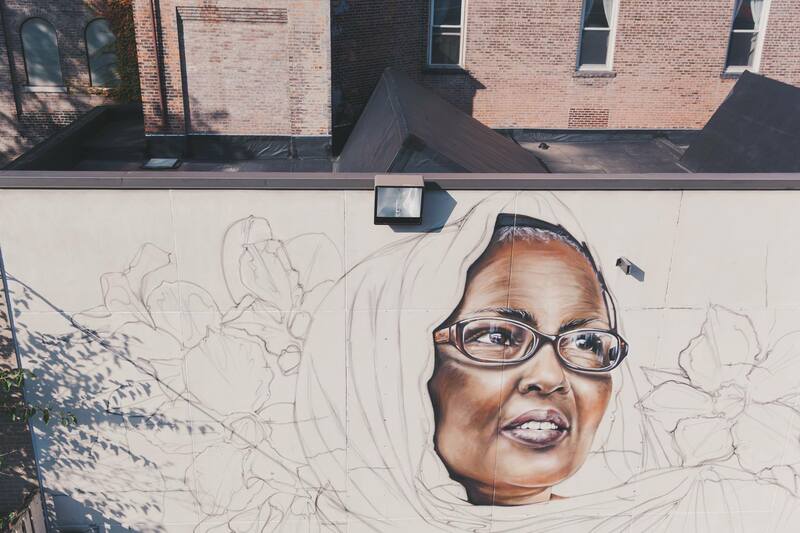 A public art project featuring women who are lifting up the voices of others. And they have arrived! Limited copies of @bspfilmsorg‘s film #HerVoiceCarries are now available for purchase through our website (link in bio). Cover design by @karirobs and photography by @livesstyled. (Please allow 10 days for delivery). • • The film covers the Rochester edition of HVC from its very beginnings in 2016, diving into each woman’s story, mission and impact. Featuring Trelawney McCoy, Rachel McKibbens, Imani Olear, Safi Osman and KaeLyn Rich. • • A portion of the proceeds will go towards honoring women’s voices across the country as we continue the national tour. 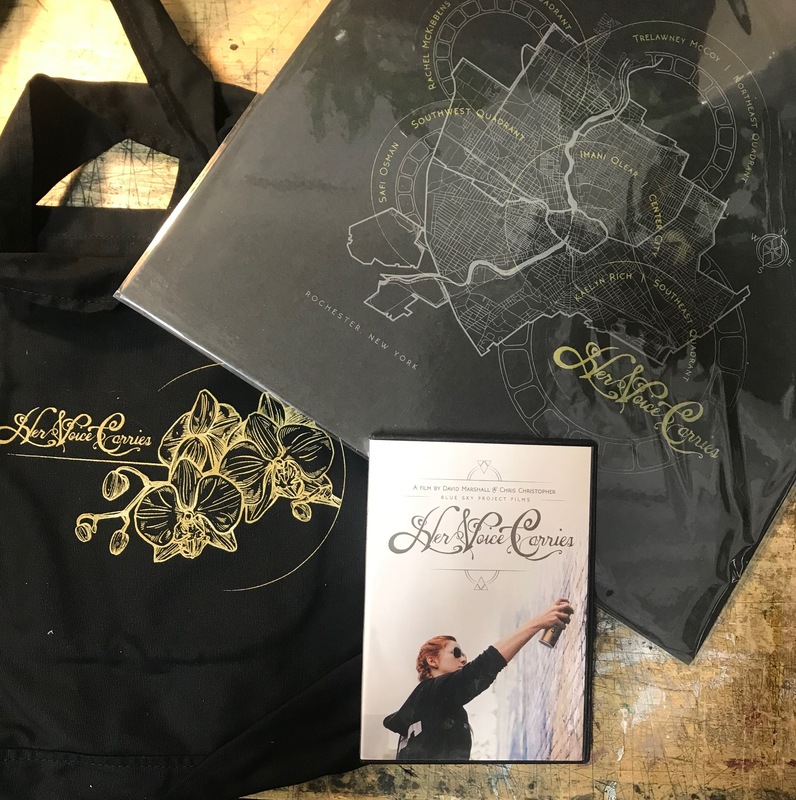 Check out the film as well as additional ways to support the project, including limited Rochester edition posters and bags. • • Finally, thank you for all the support we have received at various points throughout this process here in Rochester - we are excited for big things to come. #HerVoiceCarries documentary film by @bspfilmsorg airing tonight at 10pm and again Saturday at 5pm on @wxxirochester in #RochesterNY! Join us tonight at 6pm for @bspfilmsorg film debut of #hervoicecarries, to view the MAG installation "Her Voice Carries | Prelude" and enjoy a reception in the Pavilion sponsored by @brownhounddowntown • • • • About the Film: Film by David Marshall with Co-producers Christine Christopher and Hélène Biandudi-Hofer Her Voice Carries shares mural artist, Sarah C. Rutherford’s journey of discovery as she identifies and collects the stories of ordinary-yet-extraordinary women, visually punctuated by the emerging mural art that will honor their work far beyond the neighborhoods they call home. Blending compelling storytelling and provocative visuals, the film weaves back and forth between the women’s stories and Sarah’s work as she seeks to discover what inspires these women, what drives them, what they have seen, why they do what they do. Women of Her Voice Carries: Rachel McKibbens | Imani Olear | KaeLyn Rich | Safi Osman | Trelawney McCoy *There will be no museum admission charge to anyone coming in to see the movie.